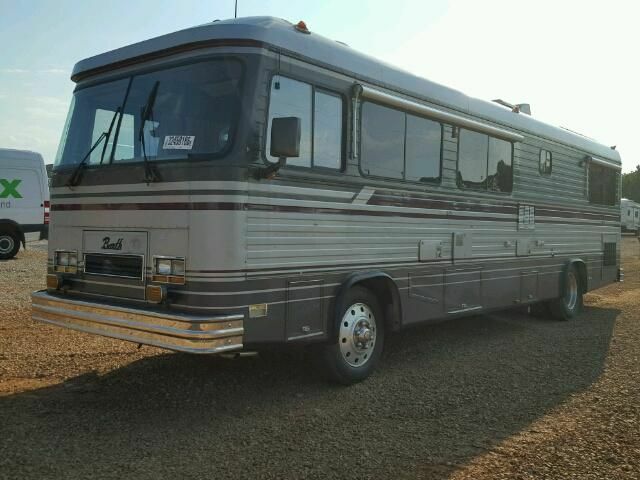 I bought this 1987 Barth today from an insurance auto auction with hail damage. Unfortunately, I purchased it from pictures,and have not actually put my eyes on it yet. I have the vin# if anyone can direct me to a site that has a vin decoder? Based on your image you've got a Regency that was produced in/after April of 1987 and it is most likely a 34' - 38' Gillig Chassis with a 3208 Cat Engine. Please supply an image of your data tag located behind and above the driver's side seat. It looks like this. With that image we can tell you much more about your coach. I wonder if this was the coach owned by towerguy. He salvaged it out after hail damage and the insurance co. took it over. I thought it had been auctioned off a long time ago but the image looks very close to what I remember. I only saw it once. I wonder if this was the coach owned by towerguy. He salvaged it out after hail damage and the insurance co. took it over. I thought it had been auctioned off a long time ago but the image looks very close to what I remember. Hey Ed, Towerguy had a different coach. That coach, I believe, is probably an MCC Chassis. The data tag you see in my post was to help him located his tag only. The data tag you see in my post was to help him located his tag only. And it did say that too..
My vin is 1RP1A5869G1U51053. I plan to pick it up at Copart in Huntsville, Al on Monday. Looks like it has 2 tires ruined on right rear. Probably driven in to auction flat! Let you know how it looks when I get it back. That vin number, as listed, is incorrect somehow. Have them recheck it. It's probably 1RP1A5865G1U51053 as the check digit did not match. A vin# check digit is just pure math as you'll see if you read the first two links. The third link is to someone who just got stuck in a mixup a few years prior and then bought the coach from someone who knew it was incorrect but sold it knowing it was wrong. In that one "I talked to the member who owned it at the time", he read it off his data tag but then sold it to someone after he removed that tag. In the end it did work out for all our members so don't fret too much. Just keep at it until it's fixed. What do I know about this coach? 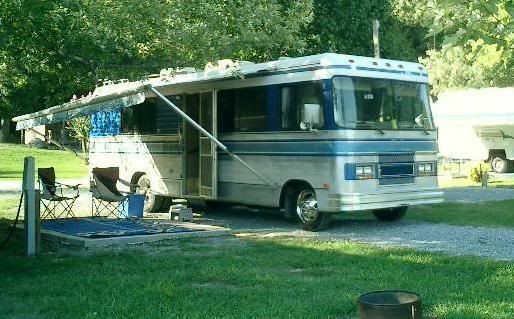 This, post April of 87, Barth is 35' long and was originally made with a 8.2l Detroit on an MCC Frame. It has a 4 wheel independent suspension with air over hydraulic brakes. It was one of the last frames made by MCC as the "G"1U51053 part of the vin stands for 1986. All of the other MCC chassis before that, from our files, were made in 1985 or before. That is of course if these numbers hold up. Don't ever snap an axle, if you're stuck in mud, ice, snow, don't rock it out just have it towed. Read this post. 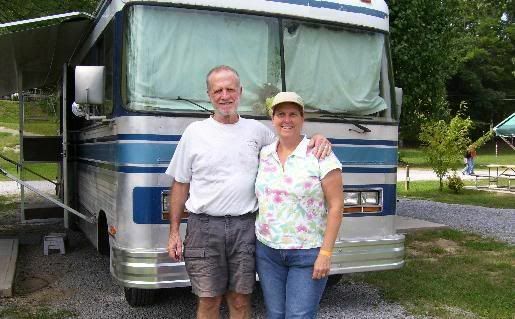 Many members love their MCC Chassis coaches and know of workarounds. Just doing a quick search however I'm left feeling uneasy. It appears that the only other aftermarket MCC parts and repair shop is now closed. Please get us a picture of that data tag for our files. Ask the auction house for one before you go. "If you think that I might not know what I'm talking about"
If there is one person I know who does know what he's talking about, it's Bill. Of course, I'm biased because I see him as a "man above all men"
Look behind the curtain near the driver seat for the data tag. Hello members! Update here! 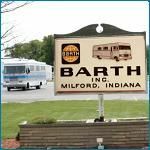 Johnnyb sold this Barth to another person after he got the Barth rolling. As you can see in his postings, he was hit with quite a few troubles. The new owner is going to get signed up on here soon. Still don't have the proper vin#. Something else is amiss... we'll have to wait then. Copy of the email johnnyb said I could post for the members of Barthmobile. 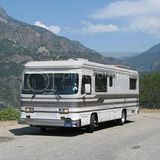 Prevost that my parents had and the Barth drives just as good and has a lot more power!! I just got it finished and a retired friend of mine came by and wanted it, so I sold it to him. I am going to put him in touch with you. When the new owner signs up, I will direct him to this topic.